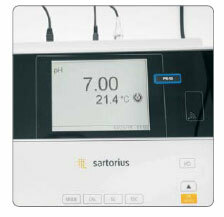 Pro Series is the most advanced meter to excel at your professional pH, conductivity, ISE and DO analyses. Be reassured, measurements have never been so accurate with German technology, wider ranges, auto cal and 5-point calibrations. Feel confident with data transfer, data storage and ElectCheck features that meet all your GLP regulatory requirements. Pro Series offers multi-parameter analysis options and is the whole package: quality, multi-functionality, documentation and convenience – a true professional at work for you. Multi-functionality in One Need advanced pH measurements, select Pro15. 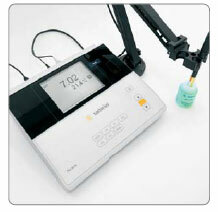 For conductivity, select Pro20. For an all-in-one meter, select Pro 50 and have it all: pH, ISE, DO, conductivity and up to three parameters displayed simultaneously. Complete Documentation Feel confident and rely on wireless sensor recognition & user identification. User name can be assigned to each measured value. Pro series also complies with GLP requirements with administrator rights or user identification via an electronic ID card. 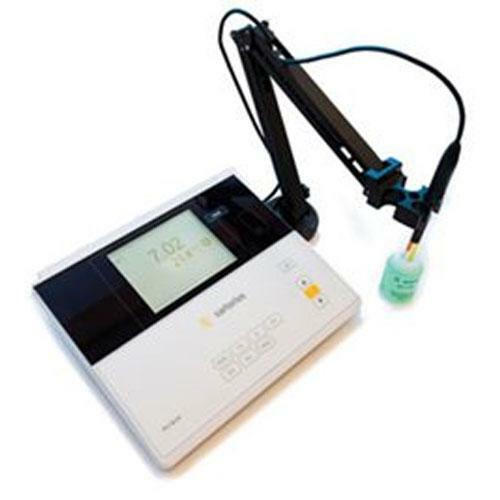 User Convenience Large LCD display, Intuitive menu navigation, ElectCheck and Stability Control to know the conditions of your sensor, the integrity of your calibration and stability of your reading at a single glance. PR-15A Sophisticated pH, ISE analysis. Achieving the highest precision with widest ranges and readability. Reproducible measurement with 5pt calibration and 22 buffer sets. Reliable results with automatic and wireless sensor and user ID recognition. Offers the highest level of complete compliance in GLP documentation with direct data transmission 1500 data and conforms to 21 CFR part 11. PR-50A pH meter, ion-selective meter and conductivity meter all in one unit also does dissolved oxygen or DO. 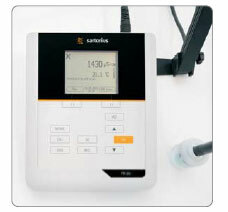 The most versatile Multi-parameters: pH,ISE,DO conductivity meter. With calibration security due to automatic user id, and wireless sensor recognition. Offers the highest level GLP documentation with direct data sets transmission 1500 data and conforms to 21 CFR part 11.